For last 30 years, on every anniversary of 1984 massacre of Sikhs, this author has been reminding the Nation how Indian State and judiciary did not bother to punish the perpetrators of this horrendous mass killing of the innocents of the second largest religious minority of our country. On every anniversary the author hoped that by next year, justice would be done and he would not have to write the painful story once again as reminder. It has not happened in last one year also, the saga of the criminal betrayal by the Indian Republic has no end and author continues to cry before deaf and dumb Indian State. “the riots which had a spontaneous origin later attained a channelized method at the hands of gangsters”. The ‘apostle of justice’, Mishra, champion of spontaneity was not unable to find out from where these gangsters came! According to Jarnail Singh author of the book I Accuse: The Anti-Sikh Violence of 1984 for this service to the State he was awarded a berth in Rajya Sabha. Next two decades, not less than nine commissions of inquiry were instituted. 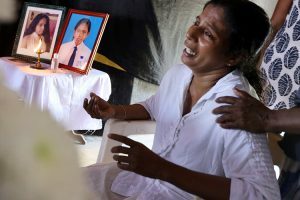 For Indian State it became a routine to announce constitution of some new commission or some more compensation to the families of victims in order to deflect the mounting anger at the times of elections. Highlighting the anti-minority bias of such commissions, H. S. Phoolka, a renowned lawyer, commented that instead of getting convicted many of the political perpetrators get promoted as rulers. In the latest development Supreme Court of India on August 16, 2017 ordered the constitution of a panel comprising two of its former judges to examine the justification for closing 241 anti-Sikh riot cases probed by SIT in next 3 months. It is November 2018 (15 months since the order was passed) and these three months are yet to be over! RSS claims to have always stood for Hindu-Sikh unity. It occasionally expresses its gratitude to Sikhism for saving Hinduism from the Muslim aggression. It may not be irrelevant to note here that RSS does not treat Sikhism as independent religion which discarded Casteism and Brahmanical hegemony but part of Hinduism. The RSS/BJP leaders blamed Congress for anti-Sikh violence Modi while addressing a public rally during last parliamentary elections at Jhansi, UP (October 25, 2013) asked Congress leaders to explain who “killed thousands of Sikhs in 1984” and “has anyone been convicted for the Sikh genocide so far”. Modi during Punjab elections and 2014 general elections kept on referring to ‘qatl-e-aam’ or genocide of Sikhs. Hindutva icon, RSS whole-timer and PM Modi lamented the fact that culprits were yet to be booked and tried for this massacre. However, Modi did not tell the nation what NDA governments which ruled this country from 1998 to 2004 did to persecute the culprits. Modi also forgot to share the fact that as per the autobiography of LK Advani (page 430); it was his Party which forced Indira Gandhi to go for army action infamously named as Operation Blue Star which killed large number of Sikh pilgrims. “Despite the BJP rule, there has hardly been any will to enforce accountability for the massacres that took place under the Congress. It’s as if there is a tacit deal between the sponsors of 1984 and 2002″. This is not what outsiders or critics of the RSS have been telling. The perusal of the contemporary RSS documents show that major focus was on condemning the Sikh extremism, eulogizing Indira Gandhi and welcoming the crowning of Rajiv Gandhi as new prime minister. 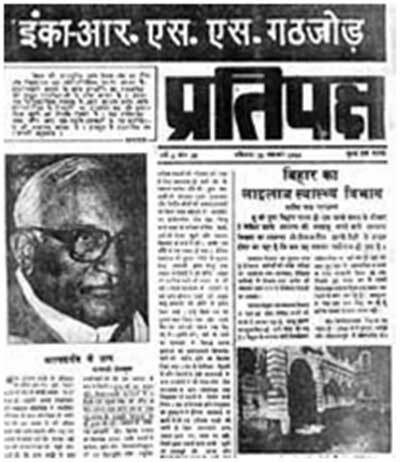 The most important proof of such a dehumanized attitude towards the massacre of Sikhs is a document circulated by Nana Deshmukh, a prominent whole timer and ideologue of the RSS [now deceased]. This document titled as ‘MOMENTS OF SOUL SEARCHING’ was circulated by Deshmukh on November 8, 1984, may help in unmasking the whole lot of criminals involved in the massacre of innocent Sikhs who had nothing to do with the killing of Indira Gandhi. This document may also throw light on where the cadres came from, who meticulously organized the killing of Sikhs. Nana Deshmukh in this document is seen outlining the justification of the massacre of the Sikh community in 1984. This document also shows the true degenerated and fascist attitude of the RSS towards all the minorities of India. The RSS has been arguing that they are against Muslims and Christians because they are the followers of foreign religions. Here we find them justifying the butchering of Sikhs who according to their own categorization happened to be the followers of an indigenous religion. In this document we will hear from the horse’s mouth that the RSS like the then Congress leadership believed that the massacre of the innocent Sikhs was unavoidable. 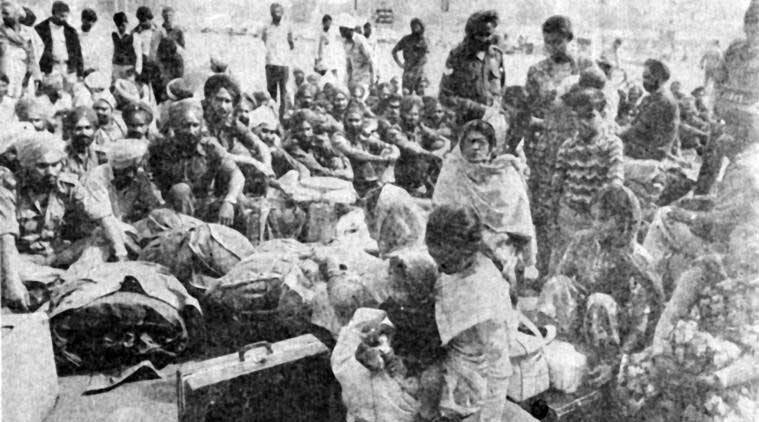 It is generally believed that the Congress cadres were behind this genocide. This may be true but there were other forces too which actively participated in this massacre and whose role has never been investigated. It could be one of the reasons that actual perpetrators remain unknown. Those who witnessed the genocide were stunned by the swiftness and military precision of the killer/marauding gangs (later on witnessed during the Babri mosque demolition, burning alive of Dr. Graham Steins with his two sons, 2002 pogrom of the Muslims in Gujarat and cleansing of Christians in parts of Orissa) which went on a burning spree of the innocent Sikhs. This, surely, was beyond the capacity of the thugs led by many Congress leaders. Deshmukh document did not happen in isolation. It represented the real RSS attitude towards Sikh genocide of 1984. It may be relevant to know here that the RSS cadres did not come forward in defence of the Sikhs. The RSS is very fond of circulating publicity material, especially photographs of its khaki shorts-clad cadres doing social work. For the 1984 violence they have none. In fact, Deshmukh’s article also made no mention of the RSS cadres going to the rescue of Sikhs under siege. This shows the real intentions of the RSS during the genocide. The RSS English organ, Organizer in its combined issue dated November 11 & 18, 1984 carried an editorial titled ‘Stunning Loss’ which praised Indira Gandhi in the following words: “It will always be difficult to believe that the Indira Gandhi is no more. One had got so used to hearing her myriad voices for so long, that everything looks so blank without her. The violent manner of her death is the most shocking horror story, giving the nation the creeps…It is a case of treacherous fanatics stigmatizing the whole nation by butchering a remarkable specimen of Indian womanhood…She literally served India to the last drop of her blood according to her own lights.” The same editorial ended with the words supporting newly installed PM, Rajiv Gandhi who “deserves sympathy and consideration”. Organizer also carried statement of RSS Supremo, Bala Deoras titled ‘Balasaheb condemns assassination, Delhi carnage’ in a single column. He mourned and condemned the carnage but not even once referred to the fact that Sikhs were under attack. For him it was “infighting in the Hindu Samaj”. He also overlooked the fact that it was not only Delhi where Sikhs were butchered/burnt but in many other parts of India. According to this statement “swayamsevaks have been instructed to form or help in forming Mohalla Suraksha Samitis” for restoring peace and rehabilitation of the sufferers. However, there are no documents available in the contemporary RSS archives to show how these Samitis functioned. It is a fact that RSS which is fond of displaying photographs of its cadres doing social work did not publish any visual of the activity of these Samitis. According to the above mentioned Organizer “RSS Sarkyavah, Rajender Singh issued instructions to all the branches in the country to hold a special meeting in Shakha condemning the dastardly murder of the PM and paying homage to the departed soul. He also issued instructions to cancel all public functions to be held by RSS during the period of mourning”. Of course, RSS archives do not contain any instructions from RSS top brass ordering to mourn the Sikh martyrs. So the search for finding the perpetrators of Sikh massacre of 1984 continues endlessly. The present RSS/BJP rulers who claim to be co-religionists of Sikhs prove no different from Congress. The only hope is that those Indians who have stakes in continuation of democratic-secular Indian polity will come forward to force the Indian State to identify and punish the killers. I am an eye witness of burning of the Green Park Gurudwara in South Delhi (which falls on Uphaar Cinema side) by the RSS terrorists led by the Pracharak who was quite senior to me in age and whom I knew when I had attended Shakha in the Timarpur area of North Delhi in mid 1960s. This happened around 10pm on Oct 31, 1984. Hence RSS trained terrorists were out on roads of affected cities along with Congress goons to unleash terror and carry out killings no sooner the news of the death of PM Indira Gandhi went public. In that group of RSS trained terrorists there were only those from Shakha as this Pracharak was calling out their names standing at a distance with a “Lathi” in his hands, and directing how to carry out the vandalism. What has surprised me always in reference to 1984 killings of Sikhs is a total absence of the hand in glove participation of RSS trained terrorists in that massacre by each and every inquiry commission? No wonder that Narsimha Rao, the RSS plant inside Congress, being the Home Minister in 1984; had ensured no where RSS name ever comes up in the very first set on inquiries initiated about 1984 Sikhs massacre. Brilliant article that puts both Congress and BJP in perspective as two fronts of the RSS. At least that is the case in recent Indian history and this is simply because both parties are led and controlled by savarna Hindus who are fanatically united in protecting their hegemony over a very large and diverse country like India. India is their ‘baap ki jagir’, ancestral property and the people of India are their domesticated cows.